Look’s 765 is an endurance bike that’s built around a high quality frame and fork package, although the brakes on the bike I rode weren’t up to the standard of the other components. I got the chance to spend some time on the 765 at Eurobike Demo Day last week, and it felt like a bike you could ride all day long in comfort. How come? Well, for a start there’s the geometry. You probably know the endurance bike drill by now: chop some length off the top tube and add a bit to the head tube. 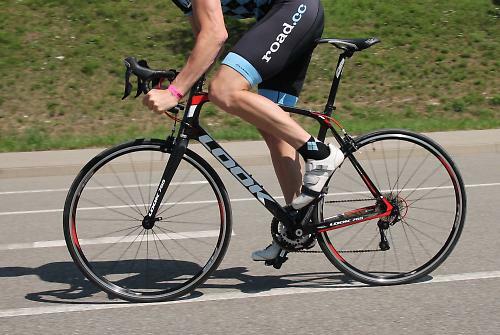 Compared to Look’s 795 race bike, say, the 765 offers a higher, less stretched ride position. The medium sized model, for example, comes with a 552mm top tube and a 182mm head tube. 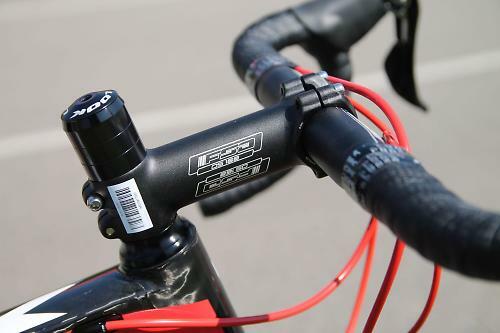 The stack height (vertical distance between the bottom bracket and the top of the head tube) is 578mm and the reach (horizontal distance between those two points) is 375mm. All those figures meant that although I moved the headset spacers out from underneath the stem, I was riding in quite a lofty position – a bit too high for my taste, to be honest, although you might like the fact that it’s likely to put less strain on your back. 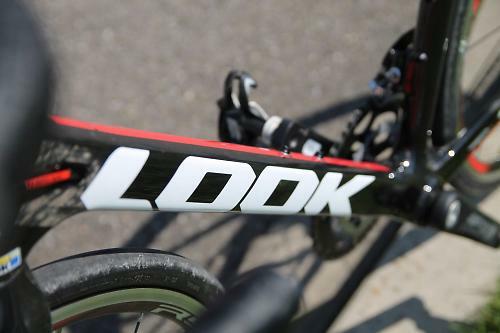 Look has made the seatstays skinny and given the 765 a slim 27.2mm-diameter seatpost. The idea is that they’ll flex a little in order to add comfort to the ride. One other feature that Look has added is its new Carboflax Technology. “A layer of linen fibre has been positioned between the carbon thicknesses on the fork and chainstays to encourage the dissipation of vibrations,” says Look. “Another thickness of linen fibre placed around the tube inside the fork and chainstays provides better elongation properties for these tubes, again to filter micro shocks and vibrations that fatigue the cyclist. That’s the theory, straight from the horse’s mouth. Look isn’t the first brand to do something like this. 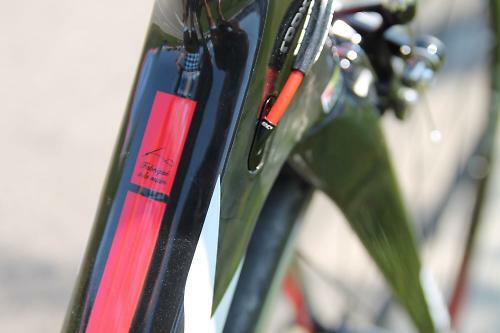 Merida, for example, includes ‘Bio Fiber Damping Compound’ in some of its bikes, including the Scultura. These are organic flax fibres (linen is produced from flax). I can’t say that I had long enough on the 765 to make a judgement on the effectiveness of the Carboflax technology, so I’m just reporting Look’s claims here rather than verifying them. The bike did provide a smooth ride, but was that down to the linen? I couldn’t say. 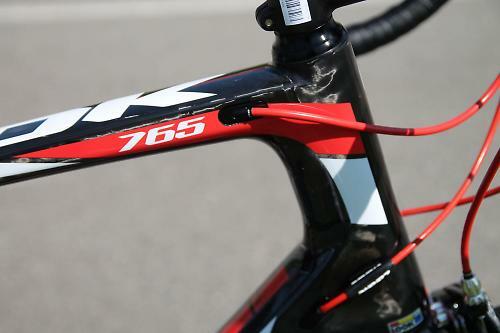 The 765 comes with asymmetric chainstays, the right-hand one being oversized to handle the forces of the drivetrain. Those chainstays are pretty short – 410mm – the idea being to keep the back end tight, and the bottom bracket is a Press Fit 30 standard so the bearings are integrated into the frame. One of the benefits there is increased stiffness. The 765 does feel pretty rigid when you get out of the saddle and throw it around, although our bike hit the road.cc Scales of Truth at 8.8kg (19.4lb) so it isn’t exactly a lightweight (Look claim 8.54kg/18.8lb) . Don’t get me wrong, it isn’t ridiculously heavy either, but I felt the weight was dulling the bike’s acceleration to a degree. 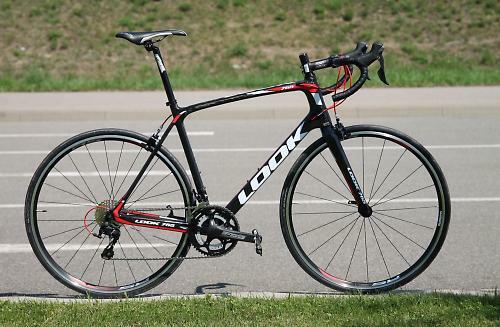 Look claims a frame weight of 1,100g and a fork weight of 350g so it would easily be possible to have a much lighter complete bike. Look offers the 765 in four different builds, this Shimano 105 one being the cheapest at £1,799. 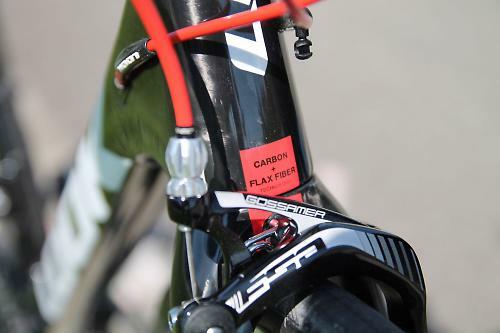 It includes an FSA Omega compact chainset and Vero Compact handlebar, Selle Italia Flow saddle and Shimano RS10 wheels. The tyres are Continental Ultra Sport II in a 25mm width. 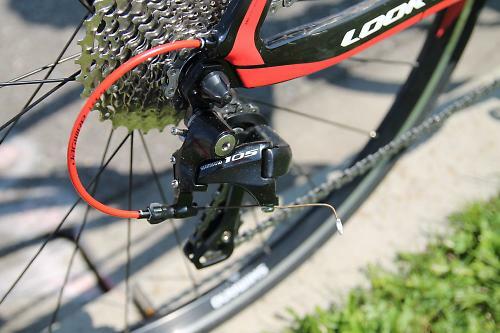 Shimano 105 is a great groupset – it’s really hard to fault, especially for the money – but the FSA Gossamer brakes were a low point of the 765’s performance. 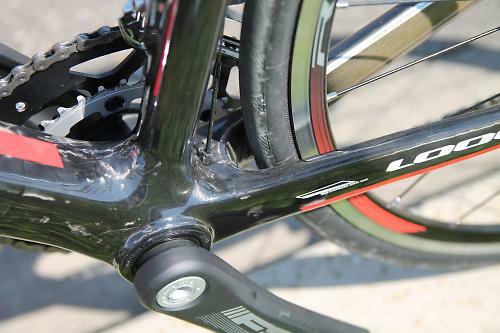 They felt wooden compared to Shimano alternatives. If this was my bike, they’d be substituted off, or I’d at least upgrade the pads at the earliest opportunity to see if that improved things. 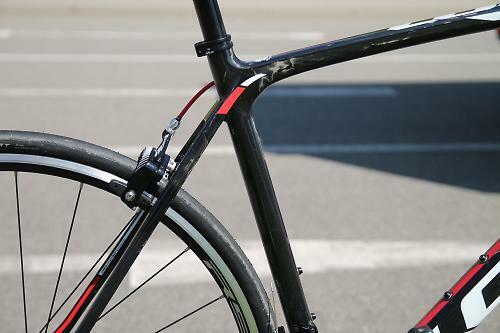 Speaking of upgrading, this is a frameset that could easily handle a higher spec as and when components wear out. 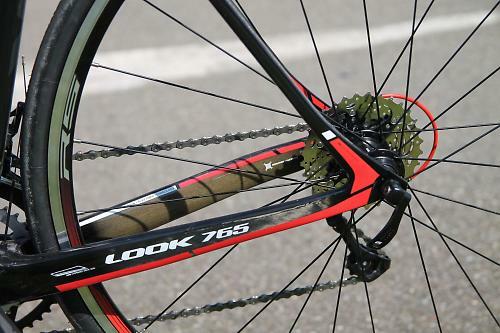 Look clearly agrees because the 765 also comes in Shimano Ultegra/Mavic Aksium builds too. For more info go to www.lookcycle.com.